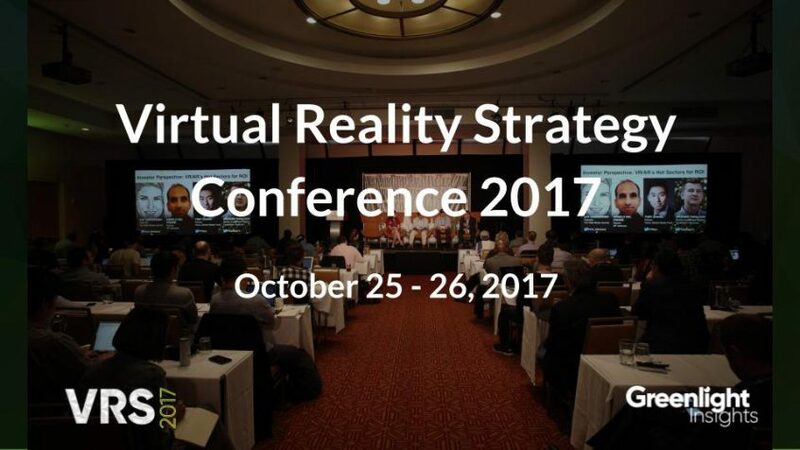 VRS 2017 featured several highlights coming from 85 speakers in 38 sessions over the two-day executive conference.Now in its second year, VRS 2017 assembled a stellar lineup of industry leaders, including analysts and tech executives. VRS 2017 attendees got the chance to not only listen to what top analysts from Greenlight Insights had to say, but also heard from executives from Qualcomm, Samsung, Dell, IBM, Unity, and HTC. Greenlight Insights CEO Clifton Dawson opened VRS 2017 with a keynote that noted the progress made in the last year—20 million consumers now have a device that delivers an immersive experience, for example—and drew attention to the new expectations that the industry has to fulfill. Of particular note is the fact that it is enterprises and not consumers that are reportedly driving the VR conversations, a scenario that was underlined by a series of panel discussions with executives from companies such as Accenture, Dell, IBM, BMW, Amazon, HP, and HTC, among others. A wide-ranging and “largely unscripted” discussion between Tony Parisi (Global Head of VR/AR, Unity) and Rikard Steiber (President of Viveport and SVP HTC) talked about how virtual reality was here to “unleash human imagination from the limitations of reality,” a lofty goal that will likely come true in the next eight years. Moving away from the influence of imagination, Mary Hamilton, Managing Director of Accenture Labs, in her keynote presentation noted the future of virtual reality will rely on twin pillars of consumer awareness and enterprise adoption. Hamilton cited an Accenture experiment that used Legos as an immersive training tool, with the aim being to prove that the learning curve was easier in virtual or augmented reality. Greenlight Insights is already planning VRS 2018. To learn about how you can participate, click here or email hello@vrsconference.com.